Copyright: © Tania Narula.This is an open-access article distributed under the terms of the Creative Commons Attribution License, which permits unrestricted use, distribution, and reproduction in any medium, provided the original author and source are credited. Early detection can decrease both morbidity and mortality associated with this neoplasm. However, screening for potentially malignant disease is typically confounded by difficulty in discriminating between reactive/inflammatory lesions vs those lesions that are premalignant in nature. Selected markers for cell proliferation, adhesion, apoptosis and lymphocytic infiltration were analysed by immunohistochemistry in addition to static cytometry for DNA content. In the present review, we have discussed the molecular pathogenesis of Oral lichen planus, oral sub mucous fibrosis and Leukoplakia. Keywords: Leukoplakia, Oral lichen planus, Oral sub mucous fibrosis, Precancer. The LOX is an essential enzyme for final processing of collagen fibers into a stabilized covalently cross-linked mature fibrillar form that is resistant to proteolysis. The LOX is dependent on copper for its functional activity. Removal of copper leads to a catalytically inactive apoenzyme. The LOX is synthesized as prolysyl oxidase and conversion of this precursor into an active LOX is mediated by BMP1 and takes place in the extra cellular space. During the biosynthesis of LOX, copper is incorporated into LOX. Apart from copper, LOX also contains another co-factor, a covalently bound carbonyl prosthetic group – lysine tyrosylquinone (LTQ).14 The LTQ is essential for the reaction mechanism of LOX, i.e. in the formation of cross-links in the collagen fibers. Copper has been suggested to play a structural role in stabilizing the LTQ. During the process of cross-linking, copper plays an important role in reoxidizing the reduced enzyme facilitating the completion of the catalytic cycle. Cell cycle arrest helps in maintaining tissue integrity and facilitating DNA repair mechanisms; however, at the same time, entry into senescence could favor malignant transformation. Microsatellites are repeats of non-coding DNA sequences that occur normally within the human genome. Defects in the DNA repair process can lead to microsatellites that are abnormally short or long; this process has been termed microsatellite instability (MI). MI is indirect evidence of an abnormal mismatch repair (MMR) protein’s function (hMLH1, PMS2, MSH2, MSH6). Telomerase is an enzyme with polymerase activity formed from a protein-RNA complex. It is produced in embryonic germline cells and its function is to lengthen the telomeres by copying the TTAGGG sequence. Telomerase plays an important role in the formation, maintenance, and renovation of telomeres, preventing cell apoptosis. 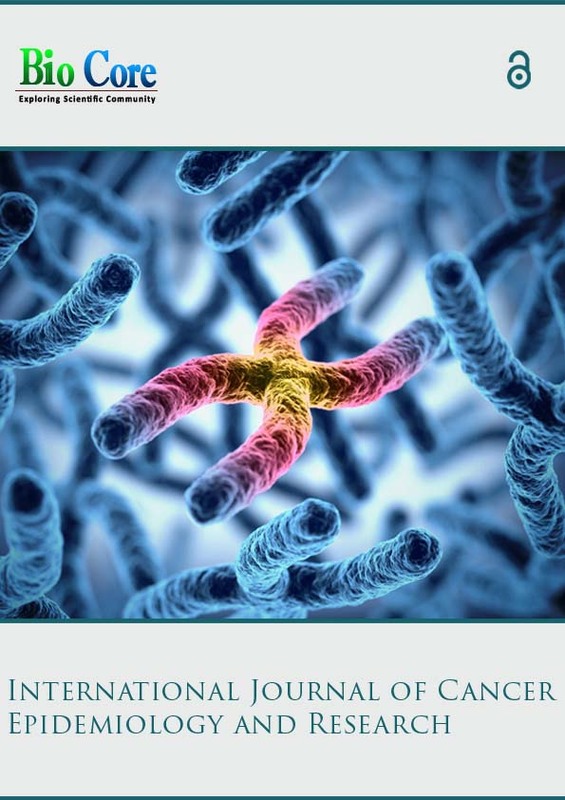 It is suppressed by mature somatic cells after birth, allowing telomere shortening after each cell division.46 Overexpression of telomerase has been reported to be associated with a range of neoplastic diseases. The pattern of specific gene mutation in OC patient may give a clue to the aetiology of that particular tumor. Brennan et al. analyzed the pattern of p53 mutation in HNSCC. They found that the incidence of p53 mutation was much higher in patients who were exposed to both tobacco and alcohol versus non-users.50 It has been suggested that alcohol appears to augment the effect of smoking due to an increase in the absorbance of carcinogens contained within the cigarette smoke. Understanding the pathogenesis of the premalignant pathologies is very important for planning the treatment protocol. Promising technologies are being rapidly developed to assist in localization of abnormal oral mucosa, in noninvasive and objective diagnosis and characterization of identified mucosal lesions, and in therapy of patients with potentially malignant disorders. Lingen MW, Pinto A, Mendes RA, Franchini R, Czerninski R, Tilakaratne WM. Genetics/epigenetics of oral premalignancy: current status and future research. Oral Dis. 2011 Apr;17Suppl 1:7-22. Rajendran R. Oral submucous fibrosis: Etiology, pathogenesis, and future research. Bull World Health Organ. 1994;72:985–96. Gupta MK, Mhaske S, Ragavendra S, Imtiyaz N. Review article: Oral submucous fibrosis-Current concepts in etiopathogenesis. People's J Sci Res. 2008;40:39–44. Rajendran R. Oral submucous fibrosis. J Oral MaxillofacPathol. 2003;7:1–4. Pundir S, Saxena S, Aggrawal P. Oral submucous fibrosis: A disease with malignant potential-Report of two cases. J ClinExp Dent. 2010;2:e215–8. Utsunomiya H, Tilakaratne WM, Oshiro K, Maruyama S, Suzuki M, Ida-Yonemochi H, et al. Extracellular matrix remodeling in oral submucous fibrosis: Its stage-specific modes revealed by immunohistochemistry and in situ hybridization. J Oral Pathol Med. 2005;34:498–507. McPherson JP, Goldenberg GJ. Induction of apoptosis by deregulated expression of DNA topoisomerase II alpha. Cancer Res. 1998;58:4519–24. Yoshida K, Yamaguchi T, Shinagawa H, Taira N, Nakayama KI, Miki Y. Protein kinase C delta activates topoisomerase II alpha to induce apoptotic cell death in response to DNA damage. Mol Cell Biol. 2006;26:3414–31. Brown DC, Gatter KC. Monoclonal antibody Ki-67: Its use in histopathology. Histopathology. 1990;17:489–503. Hirota M, Ito T, Okudela K, Kawabe R, Yazawa T, Hayashi H, et al. Cell proliferation activity and the expression of cell cycle regulatory proteins in oral lichen planus. J Oral Pathol Med. 2002;31:204–12. Taniguchi Y, Nagao T, Maeda H, Kameyama Y, Warnakulasuriya KA. Epithelial cell proliferation in oral lichen planus. Cell Prolif. 2002;35(Suppl 1):103–9. Ruutu M, Johansson B, Grenman R, Syrjänen S. Two different global gene expression profiles in cancer cell lines established from etiologically different oral carcinomas. Oncol Rep. 2005;14:1511– 7. Klein HL. The consequences of Rad51 overexpression for normal and tumor cells. DNA Repair (Amst) 2008;7:686–93. Castedo M, Perfettini JL, Roumier T, Kroemer G. Cyclindependent kinase-1: Linking apoptosis to cell cycle and mitotic catastrophe. Cell Death Differ. 2002;9:1287–93. Pirkic A, Biocina-Lukenda D, Cekic-Arambasin A, Bukovic D, Habek M, Hojsak I. Tissue expression of proliferative antigens (PCNA and Ki-67) in oral lichen ruber related to clinical status. CollAntropol. 2004;28:447–53. Lindberg K, Rheinwald JG. Suprabasal 40 kd keratin (K19) expression as an immunohistologic marker of premalignancy in oral epithelium. Am J Pathol. 1989;134:89–98. Nie M, Zhong L, Zeng G, Li B. The changes of cytokeratin 19 during oral carcinogenesis. Zhonghua Kou Qiang Yi XueZaZhi. 2002;37:187–90. Downer CS, Speight PM. E-cadherin expression in normal, hyperplastic and malignant oral epithelium. Eur J Cancer B Oral Oncol. 1993;29B:303–5. Bánkfalvi A, Krassort M, Buchwalow IB, Végh A, Felszeghy E, Piffkó J. Gains and losses of adhesion molecules (CD44, E-cadherin, and beta-catenin) during oral carcinogenesis and tumour progression. J Pathol. 2002;198:343–51. Ebrahimi M, Boldrup L, Wahlin YB, Coates PJ, Nylander K. Decreased expression of the p63 related proteins betacatenin, E-cadherin and EGFR in oral lichen planus. Oral Oncol. 2008;44:634–8. Donetti E, Bedoni M, Boschini E, Dellavia C, Barajon I, Gagliano N. Desmocollin 1 and desmoglein 1 expression in human epidermis and keratinizing oral mucosa: A comparative immunohistochemical and molecular study. Arch Dermatol Res. 2005;297:31–8. Dekker NP, Lozada-Nur F, Lagenaur LA, MacPhail LA, Bloom CY, Regezi JA. Apoptosis-associated markers in oral lichen planus. J Oral Pathol Med. 1997;26:170–5. Bloor BK, Malik FK, Odell EW, Morgan PR. Quantitative assessment of apoptosis in oral lichen planus. Oral Surg Oral Med Oral Pathol Oral RadiolEndod. 1999;88:187–95. Chang SK, Mirabal YN, Atkinson EN, et al. Combined reflectance and fluorescence spectroscopy for in vivo detection of cervical pre-cancer. J Biomed Opt. 2005;10:024–031. Rosenberg D, Cretin S. Use of meta-analysis to evaluate tolonium chloride in oral cancer screening. Oral Surg Oral Med Oral Pathol. 1987;67:621–627. Epstein JB, Scully C, Spinelli JJ. Toluidine blue and Lugol’s iodine application in the assessment of oral malignant disease and lesions at risk of malignancy. J Oral Pathol Med. 1992;21:160– 163. Zhang L, Williams M, Poh CF, et al. Toluidine blue staining identifies high-risk primary oral premalignant lesions with poor outcome. Cancer Res. 2005;65:8017–8021. Leunig A, Betz CS, Mehlmann M, et al. Detection of squamous cell carcinoma of the oral cavity by imaging 5-aminolevulinic acid-induced protoporphyrin IX fluorescence. Laryngoscope. 2000;1100:78–83. Zheng W, Olivo M, Soo KC. The use of digitized endoscopic imaging of 5-ALA-induced PPIX fluorescence to detect and diagnose oral premalignant and malignant lesions in vivo. Int J Cancer. 2004;110:295–300. Huber MA, Bsoul SA, Terezhalmy GT. Acetic acid wash and chemiluminescent illumination as an adjunct to conventional oral soft tissue examination for the detection of dysplasia: pilot study. Quintessence Int. 2004;35:378–384. Sokolov K, Aaron J, Hsu B, et al. Optical systems for in vivo molecular imaging of cancer. Technol Cancer Res Treat. 2003;2:491–504. Soukos NS, Hamblin MR, Keel S, et al. Epidermal growth factor receptor-targeted immunophotodiagnosis and photoimmunotherapy of oral precancer in vivo. Cancer Res. 2001;61:4490–4496. Hsu ER, Anslyn EV, Dharmawardhane S, et al. A far-red fluorescent contrast agent to image epidermal growth factor receptor expression. PhotochemPhotobiol. 2004;79:272–279. Cawson RA, Binnie WH. Candida, leukoplakia and carcinoma: a possible relationship. In: Mackenzie IC, Dabelsteen E, Squier CA, editors. Oral premalignancy. 1. Iowa city: University of Iowa Press; 1980. pp. 59–66. Wahi PN, Kehar U, Lahiri B. Factors influencing oral and oropharyngeal cancer in India. Br J Cancer. 1965;19(4):642–660. doi: 10.1038/bjc.1965.80. Notani PN, Sanghvi LD. Role of diet in the cancer of the oral cavity. Indian J Cancer. 1976;13(2):156–160. Williams HK. Molecular pathogenesis of oral squamous carcinoma. MolPathol. 2000;53(4):165–172. doi: 10.1136/ mp.53.4.165. Jefferies S, Eeles R, Goldgar D, A’Hern R, Henk JM, Gore M, et al. The role of genetic factors in predisposition to squamous cell cancer of the head and neck. Br J Cancer. 1999;79(5–6):865–867. Tripathy CB, Roy N. Meta analysis of glutathione S-transeferase M1 genotype and risk toward head and neck cancer. Head Neck. 2006;28(3):217–224. Brennan P, Lewis S, Hashibe M, Bell DA, Botteffa D, Bouchardy C, et al. Pooled analysis of alcohol dehydrogenase genotypes and head and neck cancer—review. Am J Epidemiol. 2004;159(1):1–16. Sidransky D. Molecular genetics of head and neck cancer. CurrOpinOncol. 1995;7:229–233. Wong DT, Biswas DK. Expression of c-erb B proto-oncogene during dimethylbenzanthracene induced tumorigenesis in hamster cheek pouch. Oncogene. 1987;2(1):67–72. Wong DT, Gallagher GT, Gertz R, Chang ALC, Shklar G. Transforming growth factor-α in chemically transformed hamster oral keratinocytes. Cancer Res. 1988;48(11):3130–3134. Brennan JA, Boele JO, Koch WM, Goodman SN, Hruban RH, Eby YJ, et al. Association between cigarette smoking and mutation of the p53 gene in head and neck squamous cell carcinoma. N Engl J Med. 1995;332(11):712–717. Hollstien M, Sidransky D, Volgelstein B, Harris CC. p53 mutations in human cancer. Science. 1991;253(5015):49–53. doi: 10.1126/science.1905840. Nawroz H, Riet P, Hruban RH, Koch W, Ruppert JM, Sidransky D. Allelo type of head and neck squamous cell carcinoma. Cancer Res. 1994;54(5):1152–1155. Riet P, Nawroz H, Hruban RH, Coria R, Tokino K, Koch W, et al. Frequent loss of chromosome 9p21–22 in head and neck cancer progression. Cancer Res. 1994;54:1156–1158. Kamb A, Gruis NA, Weavar-Feldhaus J, Liu Q, Harshman K, Tavtigian SV, et al. A cell cycle regulator potentially involved in genesis of many tumor types. Science. 1994;264(5157):436–440. Papadimitrakopoulou V, Izzo J, Lippman SM, Lee JS, Fan YH, Clayman G, et al. Frequent inactivation of p16ink4a in oral premalignant lesions. Oncogene. 1997;14(15):1799–1803. Khuri FR, Lee FR, Lippman SM, et al. Randomized phase III trial of low-dose isotretinoin for prevention of second primary tumors in stage I and II head and neck cancer patients. Journal of the National Cancer Institute. 2006;98:441–450. Shin DM, Khuri FR, Murphy B, et al. Combined interferonalfa, 13-cis-retinoic acid, and alpha-tocopherol in locally advanced head and neck squamous cell carcinoma: novel bioadjuvant phase II trial. J ClinOncol. 2001;19:3010–3017. Batsakis JG. Surgical excision margins: a pathologist’s perspective. AdvAnatPathol. 1999;6:140–148.